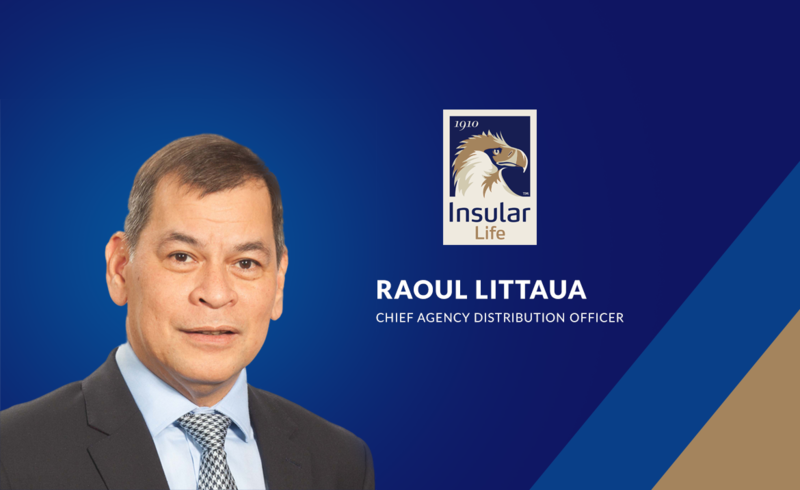 Insular Life Executive Chairman Nina D. Aguas announced the appointment of Raoul Antonio E. Littaua as the Company’s new Senior Executive Vice President and Chief Agency Distribution Officer. Mr. Littaua brings with him close to 30 years of extensive experience in life insurance operations including benefits administration, underwriting, customer service, policy administration and training; agency management, and marketing. He occupied various key positions such as chief marketing officer and chief distribution officer of other life insurance companies. He spearheaded and conceptualized various sales and marketing campaigns and grew both the agency and bancassurance businesses of his former companies, strengthening their market performance. Aside from the life insurance industry, he was also formerly connected with retail and real estate companies where he was instrumental for setting the directions for and growing their respective businesses. Mr. Littaua is also a strong advocate of renewable energy, having worked as technical consultant for foreign assisted and special projects of the Department of Environment and Natural Resources. He graduated with an AB Psychology degree from the De La Salle University and attended the Executive Development Course of the Life Office Management Association (LOMA)/Life Insurance and Market Research Association (LIMRA).